The year is only half over, and already two big indicators of climate change (global surface temperatures, and the diminishing extent of Arctic sea ice) are smashing record after record, NASA scientists said on Tuesday in a press conference. It's a troubling trend that's hitting home in many parts of the world, like western Canada, which has seen hot and dry weather contribute to some extraordinarily destructive wildfires this year: In May, wildfire levelled the oiltown of Fort McMurray, Alberta. Over in Ontario, farmers have struggled with the lack of rain. And in California, residents continue to grapple with a long-running drought. The effects stretch far and wide. In 2016, every month from January through June has set a record for the warmest month, globally, in modern recordkeeping—stretching back to 1880, NASA said. January through June was actually the warmest half-year on record, and the average temperature was 1.3℃ warmer than in the late 19th century. We still don't know if 2016 will be a record-breaking year, overall. But if it is, and it certainly looks like things are moving that way, "it will be third in a row in our data set, which would be unprecedented," said Gavin Schmidt, director of the Goddard Institute for Space Studies. Schmidt acknowledged that it was unusual for NASA to offer a mid-year analysis like this. (For one thing, we don't typically hear about the Arctic sea ice's annual minimum until September, after the ice has melted through the summer.) But this year has been "noteworthy," he said, and warranted an update on what scientists see in the data. A warming Arctic might even be messing with the jetstream and affecting weather patterns in places as far away as California and Texas. "Fire is really a true wildcard in climate change and its impacts on ecosystems," said Charles Miller, science co-lead for the Arctic Boreal Vulnerability Experiment at NASA's Jet Propulsion Laboratory, who just returned from a research trip to Alaska. "It has the ability to dramatically alter the face of the landscape in a few short days to weeks." The Arctic is also "greening" as the permafrost melts, but other regions farther south are "browning" at the same time, he continued—partially because it's dry and there's not enough water, and partially because insects and disease are spreading thanks to warmer temperatures. These are both conditions that scientists expect to see more frequently, as the climate changes. "Both fire and Arctic greening are having pan-Arctic and continental scale impacts we're already beginning to observe," Miller told the media briefing. As for 2017, well, these NASA scientists predicted that things will cool down a bit as the intense El Niño we've been experiencing fades away. (Schmidt attributed 40 percent of 2016's excess warming to El Niño.) We shouldn't be too relieved, though, because the other 60 percent mainly comes from greenhouse gas emissions. And while this year's record-breaking conditions sound frightening, what's ultimately more significant, the NASA team said, is that it's the continuation of a longterm trend: temperatures are warming, and the Arctic is melting. 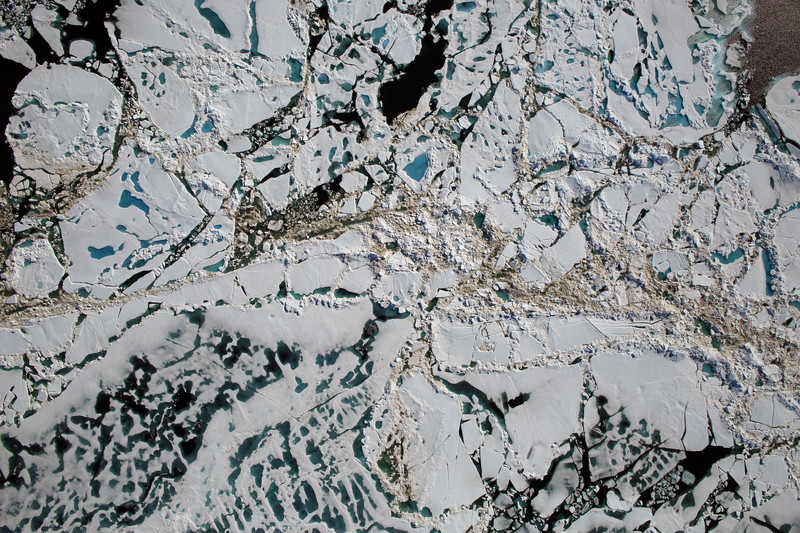 Arctic sea ice, as measured each September, has been declining about 13 percent per decade. The planet is already edging close to the 1.5℃ limit on warming that was touted at the Paris Agreement—and that agreement was struck less than a year ago. "I wouldn't say we've gotten to that Paris number and will stay there," Schmidt said, noting that we'll see ups and downs through the years. "It's fair to say we are dancing with those lower [Paris] targets," he said.